Your license to use this evaluation version of Windows will expire soon. When it expires, your PC will restart every two hours. Get the latest version of Windows to avoid these interruptions. Windows 8.1 Release Preview is an evaluation copy of Windows 8 which expires on January 15, 2014. If you would like to continue to run a Windows 8 Virtual Machine, you will need to purchase the latest version of Windows 8.1 from Microsoft by clicking Get Windows. Parallels always recommends creating a backup of your current Virtual Machine prior to any OS update or system changes. 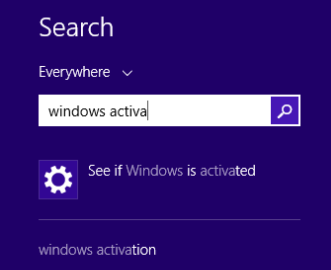 To check the expiration date of your Windows 8.1 Preview, you may go to Control Panel ► System and Security ► System ► Windows Activation or open "See if Windows is activated"